Don’t limit the functionality of your web site! 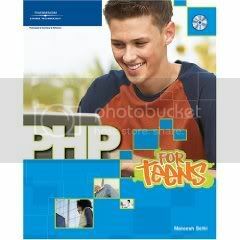 If you’re ready to create interactive, dynamic pages for your site, then PHP for Teens is ready to show you how. You don’t need any experience with PHP to begin. You’ll learn everything you need to know along the way. The topics covered by PHP for Teens will get you up and running whether you’re using a PC, a Mac®, or Linux®. You’ll cover everything from basic design and introductory PHP concepts to variables, expressions, and operators. You’ll also get a quick overview of HTML and PHP form design. Take control of your web site using the power of PHP!